Mini backplane has receptacles to accept any two Adapt11-style cards (with either SB or RA connector options). 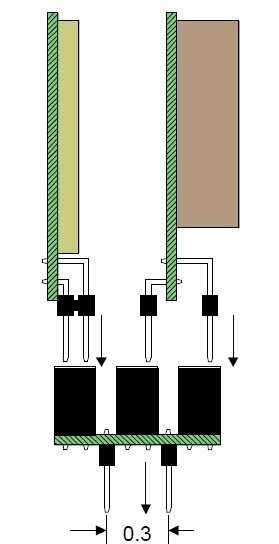 The two-card assembly can then be plugged into a solderless breadboard. Use it to implement your own display or interface card built on an Adapt11 Prototyping Card. 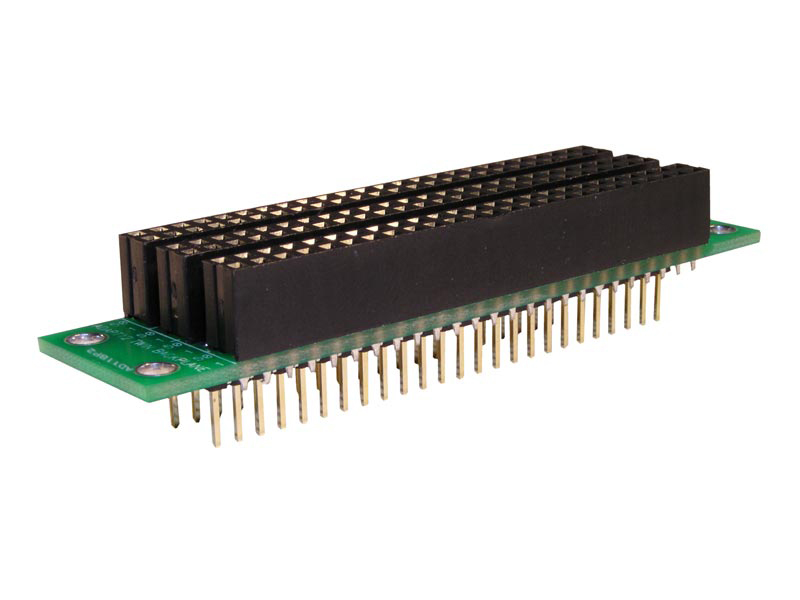 Can also be used with Adapt9S12C and Adapt9S12ZVC modules.